I’ve written about the possible match of Lean thinking and my field of adult literacy and numeracy education before. I’d like to narrow this down and talk about how Lean thinking works with the idea of embedded literacy and numeracy. One of the key principles in Lean is the idea of the minimum viable product or MVP for short. This is not a minimal product, but a product that has just the barest features that it needs to be deployed. 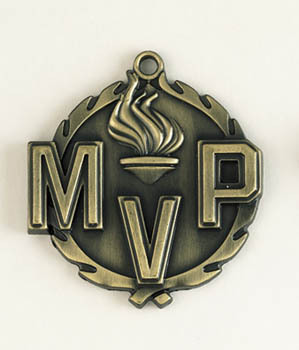 You can read more about MVPs here on Wikipedia. What’s the least that I could do here (with some very narrowly focused aspect of literacy or numeracy) to gain the most impact in my training for my learners (in terms of the vocational or trades content or context)? In other words, when we think about designing and delivering explicit embedded literacy and numeracy training interventions they should be MVPs. They should also be “bookended” by assessments – not big external high stakes assessments, but small micro assessments that we design ourselves to measure the impact of making one small change to our training. This idea of testing and iterating also fits well with lean thinking, as it also does with action research. For example, if you are teaching a new unit in your horticulture course and you know from past experience or previous diagnostic assessment that your learners are going to struggle with some aspects of the new technical vocabulary that you are going to introduce, then a possible MVP that you could employ would be a deliberate focus on 20 key words and terms that they will need to know to understand the content. Establish a list of the 20 key words and terms that you think will make the biggest difference to your content delivery. Create a short assessment task using the new words and their meanings and pre-test your learners to find out what they already know (if anything). Deliver a short teaching session deliberately explaining and discussing the new words. Make it clear that learners will need the new terminology to make sense of the new unit. Follow up the teaching with some vocabulary practice activities (card sort, matching, cloze, writing sentences, creating a glossary or word bank together, or anything more creative that you can think of). Deliver your regular content instruction. Post-test your learners re-using your pre-test (or create a Version B of the same test). What you’re trying to measure here is the impact of changing one small aspect of your regular teaching delivery. In this case, the effect of “front loading” your learners with 20 new vocabulary items before they encounter them in the context of your normal teaching and training. Because you’ve gathered pre and post-test data you’ll be able to see what the uptake was on the new words. You may even be able to have a look at how the learners score for their content assessment following your delivery of the unit compared with other learners in other groups or from a previous year. That’s it in a nutshell: Create a MVP for your training content today and get underway embedding the literacy and numeracy that your learners need.